I just completed my second snowmain crochet doll in two evening time. Felt so proud of myself. I was kind of working stress lately and miss my first snowman so much. 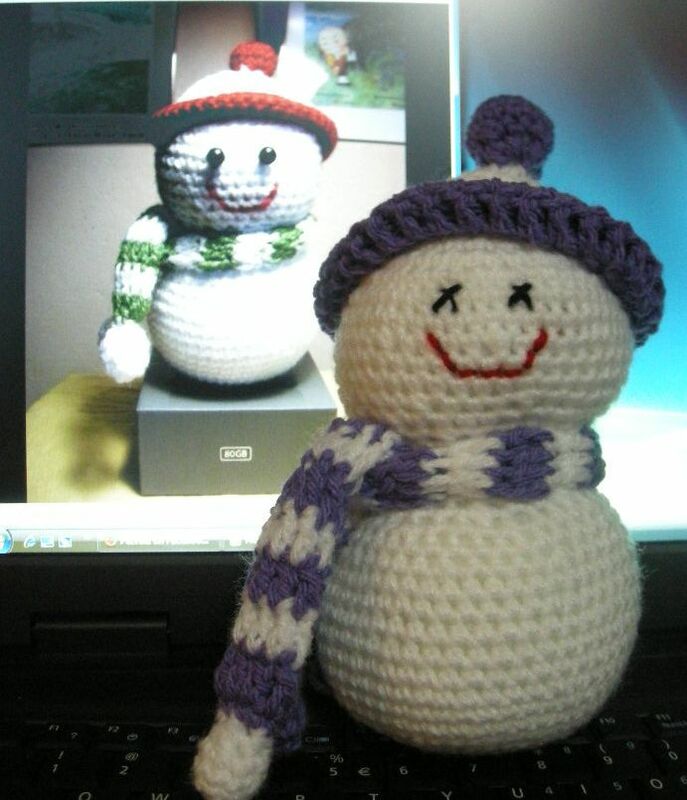 I did my first snowman stress relief doll last November and sold it within a day after I display at the etsy site. I wonder how is he now , did the new owner like him? Anyway, I decided to make myself another one to compensate my ‘lost’. I need it badly to release some of my stress. While crocheting, I have already felt the relaxation that I needed. 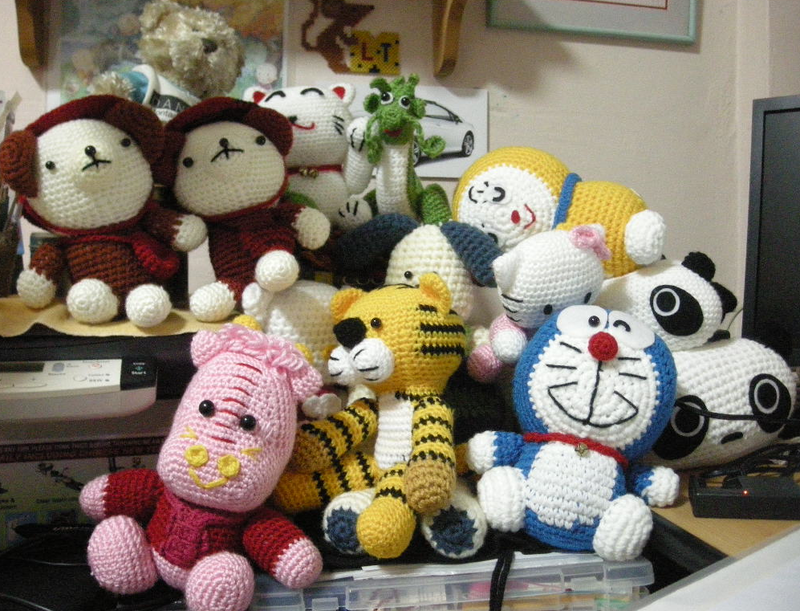 And I found another good reason to do crocheting. No matter how tired I felt after my day job, I should remind myself the best way to replenish my energy at the end of the day is to do some crocheting. Pick up a crochet hook and some yarn you can find. Without thinking much, just do what came first in your mind and you surprise yourself what you can make out of it. This second snowmain, Mr purple, is quite similar to his brother Mr Green. I change the hat slightly started with making the rounded ball at the tip of the hat and expand using single crochet in white yarn. I used double crochet and half double crochet for the last four rows to increase its elasticity. It really look like a real hat to me. As for the scarf, I started with the rounded ball in white and continue on using double crochet with althernate color row between purple and white. I ended with a simple sc ball using purple color yarn. Both balls were also stuffed with poly fiber. I’m going to place it at my office desk. Seeing him everyday during work would some how ease off my daily stress, I hope.